A passport isn't just a must-have travel document you can't enter other countries without. For many globetrotters, their passport is also an evolving memory bank of all the places they've visited, marked by the entry stamps they've collected at airports, seaports and land borders all over the world. But there's one country whose stamp you don't want inked on your passport - because it could work against your hopes of visiting other countries in the future. And that is the passport stamp from Israel, which can essentially turn you into a bit of a travel pariah. Governments that do not recognise the State of Israel will not allow entry to foreigners, including Australians, who have spent time in Israel - even for a holiday. 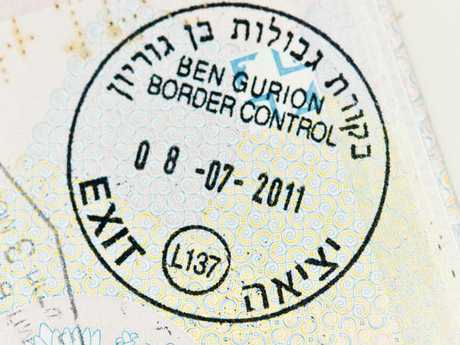 The Israeli border control stamp can land you in big trouble in a number of countries. "Some countries may refuse you entry if your passport contains evidence of travel to Israel, or if your luggage has stickers indicating you have been to Israel," the Department of Foreign Affairs and Trade warns. As well as entry and exit passport stamps, "evidence" may also include Egyptian or Jordanian stamps from border crossings with Israel, travel itineraries or tickets that mark Israel as a destination, and luggage stickers in Hebrew. If you have been to Israel at some point, these are the countries that are likely to refuse to let you in. Most are Arab League member states. • Sudan (you should reconsider travelling here, too). Libya, Yemen, Syria and Iraq will also deny entry to travellers who have been to Israel, but those are countries on DFAT's "do not travel" list anyway. Israel understands how problematic its stamp is and offers a solution to foreign visitors entering and leaving the country. 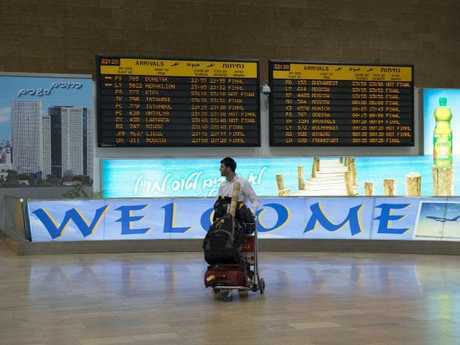 There are some Arab nations that will allow entry to travellers who have previously been to Israel, including Jordan, United Arab Emirates, Egypt and Morocco, even though some will deny entry to Israeli passport-holders. Israel is very aware its passport stamp can be a burden to foreign travellers, so instead of stamping passports, border officials offer a stamped entry card instead, which travellers can slip into their passport book for the whole time they're in Israel. When they leave, travellers can simply ditch the card and erase the evidence they've been there. 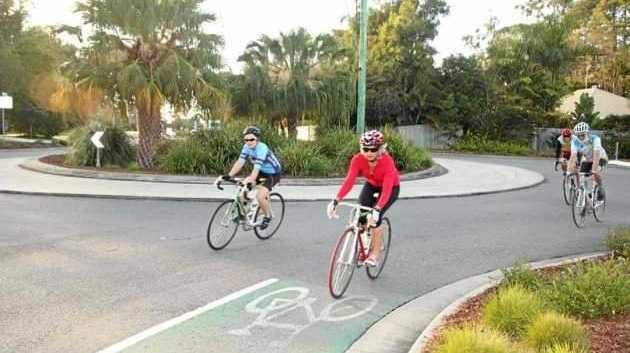 In some cases, the Australian government will issue a concurrent, or "second", passport to Australians for a number of legitimate reasons, including the need to visit a country that will not accept a passport showing evidence of travel to another country. But is it the same the other way? Will Israel have a problem with your travel history? Guides for travellers to Israel say if you're a genuine tourist with no political interest in visiting, it shouldn't be a problem - but if you do have history with Arab countries in particular, brace for some extra questions at the border.